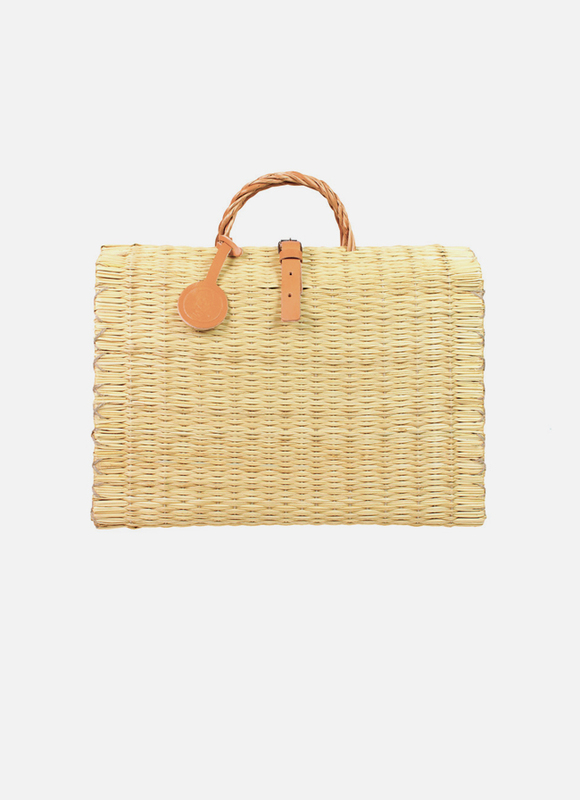 Hand-woven reed with willow handles. Details made of vegetable tanned leather. 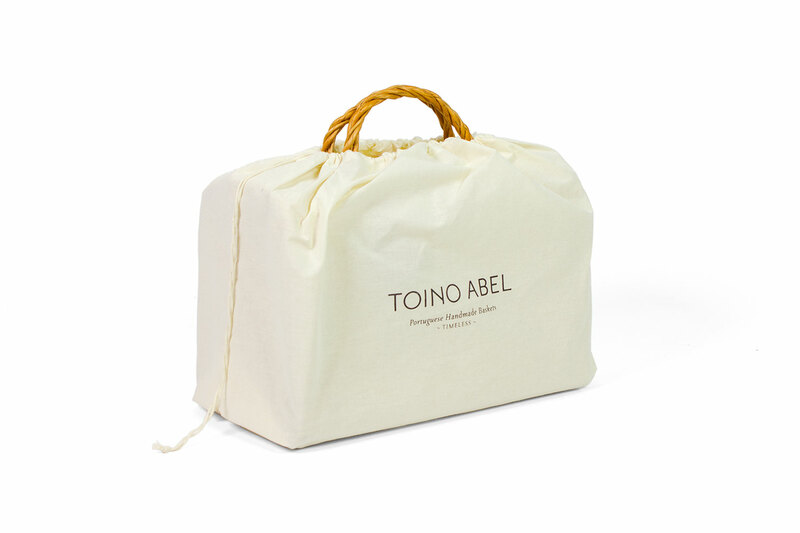 “Each Toino Abel bag is unique, entirely handmade and part of our history. Our family has dedicated itself through generations to the beautiful handcraft of basket making. 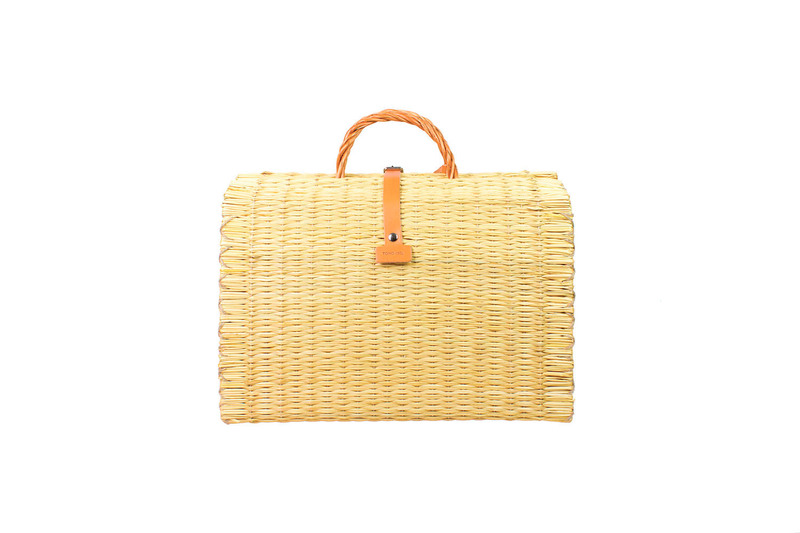 Over time our bags have become an icon of Portuguese artisanal craft. In the recent past our craft became close to extinction. We have now successfully brought it back to life and want to share our heritage with you. Our bags are made by experienced hands. 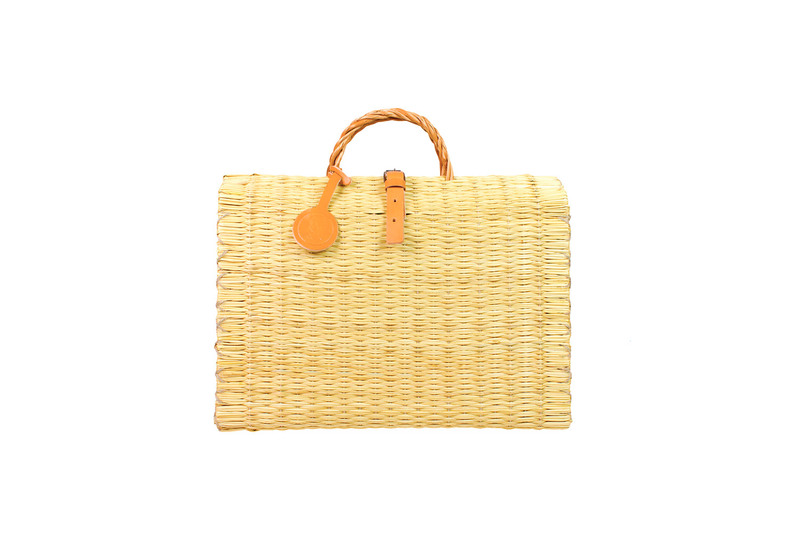 Every step is strictly manual – from the reed picking on the floodplains to the weaving on our hand looms. When you hold our bags you will feel our hands. We love to work with materials that come directly from nature. In return we aim to treat the natural world with respect. We source our materials in Portugal and we only work with vegetable tanned leather – an ancient and sustainable process of leather tanning. In order to attract new artisans we believe in supporting them and in fairly rewarding their work. This is how we keep the tradition running. Whenever we work with someone we keep proximity in mind. We source and produce locally and with the help of small-scale manufacturers from our region. We like to know our manufacturers’ names, their working environment and see ourselves how things are being made. “My great grandfather was called José Custódio Barreiro. He was a farmer and a good business man living in the small Portuguese village of Castanheira. I heard many stories about him from my father and my grandfather, both drawing the picture of a very strict and serious man strongly concerned with his commerce. He was softened though by his caring and tender wife. Portugal at the time was extremely rural and my great grandfather earned his living by producing olive oil and wine. And, of course, his famous reed baskets. He sold many baskets to places all over Portugal and delivered the baskets with a cow and cart. My great grandfather employed many people in Castanheira, all working in the production of baskets. After my great grandfather died, his son that was my granduncle took over the business. And after his death it was continued by my grand-aunt who is still overlooking the production of baskets today. However, nowadays the business is very small and the staff of my grandaunt only consists of six people. All employees are old and have worked for the company for many decades. They are handcrafting the baskets in the same traditional technique of the time of my great grandfather. Every step of the process is done by hand: The women cut the reed sticks into bunches of equal size, clean and dry them and clear their colour in a process of burning sulphur. Afterwards they colour the remaining darker pieces with colour pigments and weave them on a hand loom in a variety of patterns. The finished parts are being stitched together in the form of a bag. The handles of the baskets are made of willow branches that are bound and fastened onto the baskets. Sometimes I am sad because I know that the craft of making baskets is coming to an end. 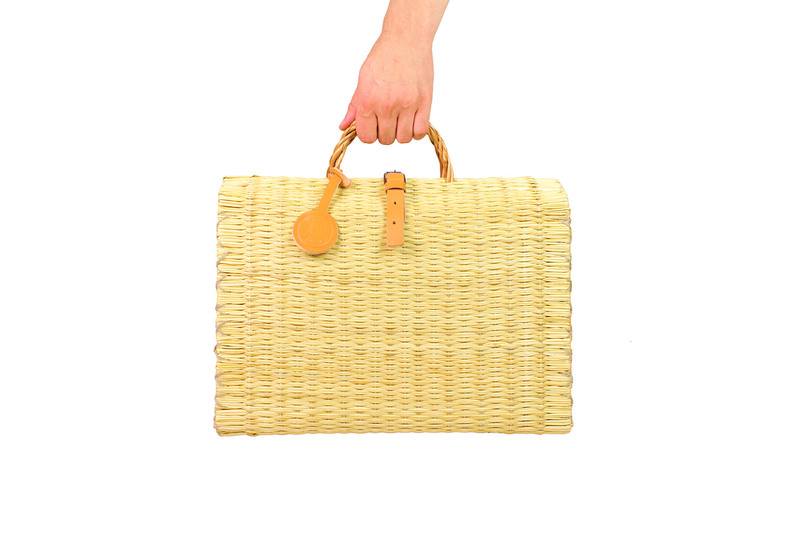 When this last generation of old workers dies it might be the end of the Portuguese reed basket tradition. But before this happens I would like to share and cherish this beautiful part of my culture heritage with you.